So it turns out #thedress which has been freaking out the internet can be explained by how our eyes/brain interpret colour. Every day our brains unconsciously do something very clever – they look at the world around us and depending on the light source – whether its is daylight or artificial light – and subtract certain colours from our surroundings to compensate for this so as to make objects appear constant in colour. What do I mean by that? Well different light sources bathe our world in different washes of colour. So the light from a light bulb gives off a yellow glow; a flourescent bulb gives a blue wash to the world; and sunlight near dusk has a reddish hue. The brain knows this, and takes into account the light source when it presents the colour of things to our consciousness colour. Because of this brain process, known as colour constancy, a white cup will look white whether it is being lit by a bulb, a flourescent light or in sunlight. Imagine how confusing the world would be if the brain didn’t do this – colours of objects would be constantly changing depending on what the source of light they were being lit by. So what does this have to do with that dress? Well the photo of that dress which is now probably the worlds most famous dress since Monica Lewinsky did that thing with President Clinton, was cropped in such a way that the source of illuminating light is not clear. 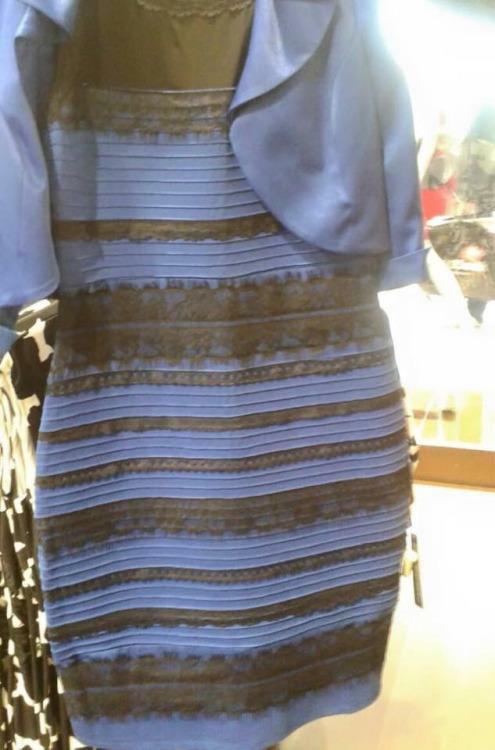 Those who see it as black and blue are correctly seeing it. 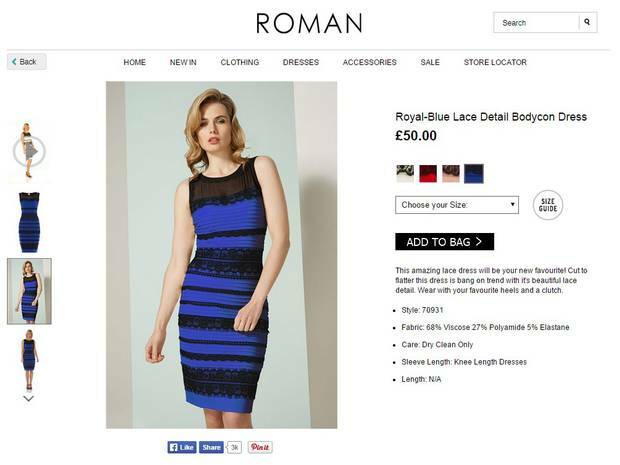 But for those people who see it as white and gold their brain is (wrongly) calculating that the photo was taken in strong daylight and is compensating for that and presenting the blue and black to their brain as white and gold. The actual dress as sold in an online shop. Scientists have known about colour constancy for years but this is one of the best examples of it that has ever been found, and it was discovered totally by accident. What this all shows is that what we perceive to be “reality” is in fact just an illusion. And also that however amazing the brain is, it can mistakes. i like the way you have put it up. but i have to say its a 50 % chance from my side. Yeah. But I hope that’s all it was and not some nefarious plot not my own as a conspiracy of distraction. The white and gold photo looks like a negative, a special effect with bright light shining behind it. The blue would only be a darker blue in less light. It would not look like white satin in shadow. I could elaborate on it much more. An interesting viewpoint, can you elaborate?